If your teeth have become damaged or broken down, a dental crown is one option to repair them meaning you can smile again with confidence! A dental crown is an artificial cap which is used to cover the complete surface of the outer tooth which has been damaged. Dental crowns can be made from gold, metal or porcelain. 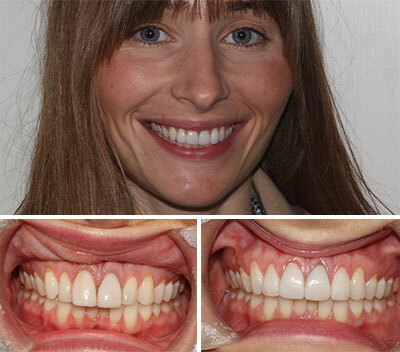 Porcelain is popular as they look very natural but your dentist can talk through the options with you. My teeth were uneven and worn down. I had Veneers at street farm dental. I was very pleased with the simple process. Usually the process of fitting dental crowns takes at least two visits. The first visit is used for the dental crown preparation. Your dentist will file the tooth so that it is the ideal shape to fit the crown. Your tooth will also be matched to the shade of porcelain for the dental crown. The dental team will take an impression of the tooth and possibly your other teeth to show how you bite together. A temporary crown will be fitted so that your tooth can be used as normal between visits. At the second visit your dentist will fit your permanent dental crown. There is usually 1 – 2 weeks between your two visits. At Street Farm Dental, we know that every patient is unique and so we recommend you book a free consultation to discuss your individual treatment plan. Patients often ask “How much does a dental crown cost?” It is impossible to give you an accurate price for dental crown without meeting you first and so we always recommend booking a free initial consultation to talk through your treatment and finance options. On average, dental crown cost from £599 or just £2.78 per day with our 0% finance plan.